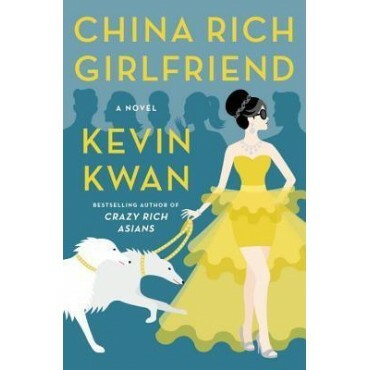 Kevin Kwan, bestselling author of Crazy Rich Asians, is back with a wickedly funny new novel of social climbing, secret e-mails, art-world scandal, lovesick billionaires, and the outrageous story of what happens when Rachel Chu, engaged to marry Asia's most eligible bachelor, discovers her birthfather. On the eve of her wedding to Nicholas Young, heir to one of the greatest fortunes in Asia, Rachel should be over the moon. She has a flawless Asscher-cut diamond from JAR, a wedding dress she loves more than anything found in the salons of Paris, and a fiance willing to sacrifice his entire inheritance in order to marry her. But Rachel still mourns the fact that her birthfather, a man she never knew, won't be able to walk her down the aisle. Until: a shocking revelation draws Rachel into a world of Shanghai splendor beyond anything she has ever imagined. Here we meet Carlton, a Ferrari-crashing bad boy known for Prince Harry-like antics; Colette, a celebrity girlfriend chased by fevered paparazzi; and the man Rachel has spent her entire life waiting to meet: her father. Meanwhile, Singapore's It Girl, Astrid Leong, is shocked to discover that there is a downside to having a newly minted tech billionaire husband. A romp through Asia's most exclusive clubs, auction houses, and estates, China Rich Girlfriend brings us into the elite circles of Mainland China, introducing a captivating cast of characters, and offering an inside glimpse at what it's like to be gloriously, crazily, China-rich.